Kearsey graduated from Oulton College in Moncton, New Brunswick in 2014. 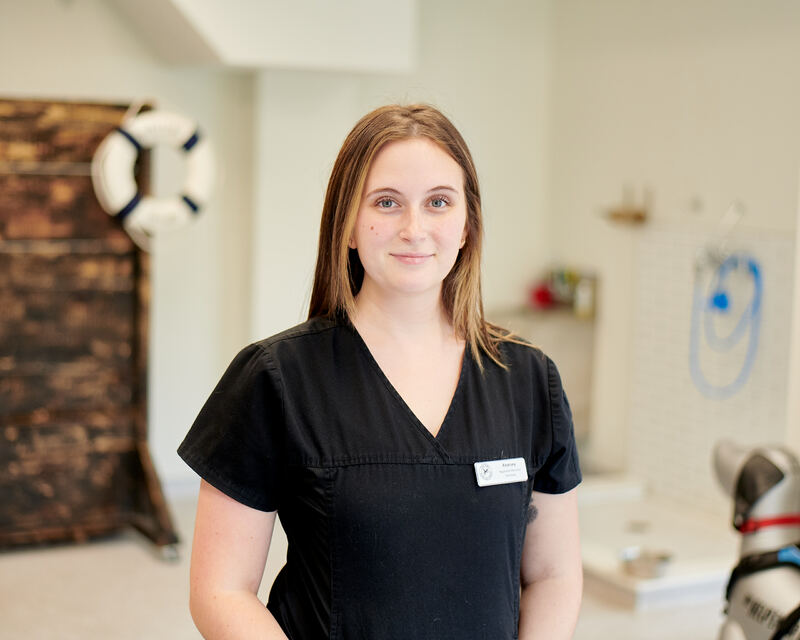 From there she gained her registration through the Eastern Veterinary Technician Association and worked full time as a general practice RVT in her hometown of St. John’s, Newfoundland. In 2017 Kearsey moved from Newfoundland to Toronto – with her husband, one eyed beagle named Otto, springer spaniel puppy Bruce Springsteen and two orange tabbies, Fat Louie and Libby. Kearsey has always been very passionate about rehabilitation – and is excited to be working at Four Paws as she works toward earning her Canine Rehabilitation Certification.